For all of us at Tribe yoga is a lifestyle and a spiritual practice. As a lifestyle yoga is something that we aspire to live in each and ever moment, cultivating a sense of mindfulness, connection, awareness and sensitivity. As a practice yoga allows us to concentrate the mind and cultivate a meditative state delivering us to a deep appreciation and understanding of ‘that which we truly are’ and ‘that which is truly happening’. Regular practice provides us with a source of inner guidance and wisdom that supports every action we do and every word we say. We recognise the transformative power of yoga as something that creates great freedom in both the body and the mind. 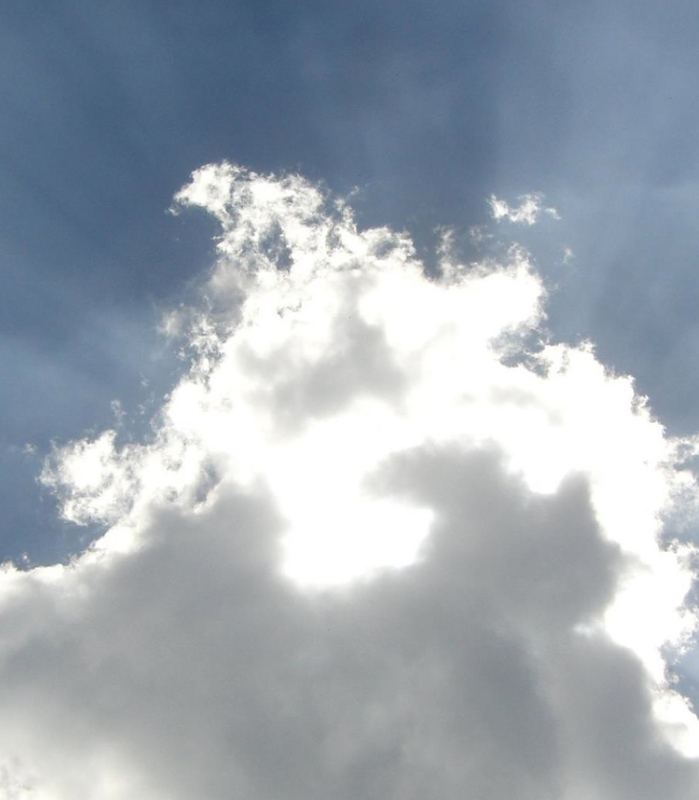 Reconnecting us with the inner truth that is fundamental to our very existence but often buried deep beneath physical, emotional and mental pollution (fear, anguish, anxiety etc.). Yoga practice and lifestyle helps us to shed this pollution, so we can return to our natural state, peaceful and at ease. Through yoga we awaken the potential to evolve and flow more effortlessly through life with less resistance, greater acceptance and a blossoming trust. At Tribe traditional yogic text are very important to us. The Patanjali yoga sutras and the 8 limbs of Ashtanga therein is truly our yoga bible. As yoga practitioners, we are passionate about the transformation process that the 8 limbs of Ashtanga offers us and get excited about the yamas and niyamas, which all the Tribe teachers aspire to embody in their practice, their teaching and their daily living. As much as possible we honour the traditional teachings of yoga and bring them into a modern context through a contemporary understanding that makes the meaning and essence of the teachings more easily digestible and applicable to the world we live in today. At Tribe we feel the message behind all integral teachings are one of liberation through surrender, love and connection. As we address our day-to-day words, thoughts and actions the teachings support us to become more mindful, sensitive, aware and present. 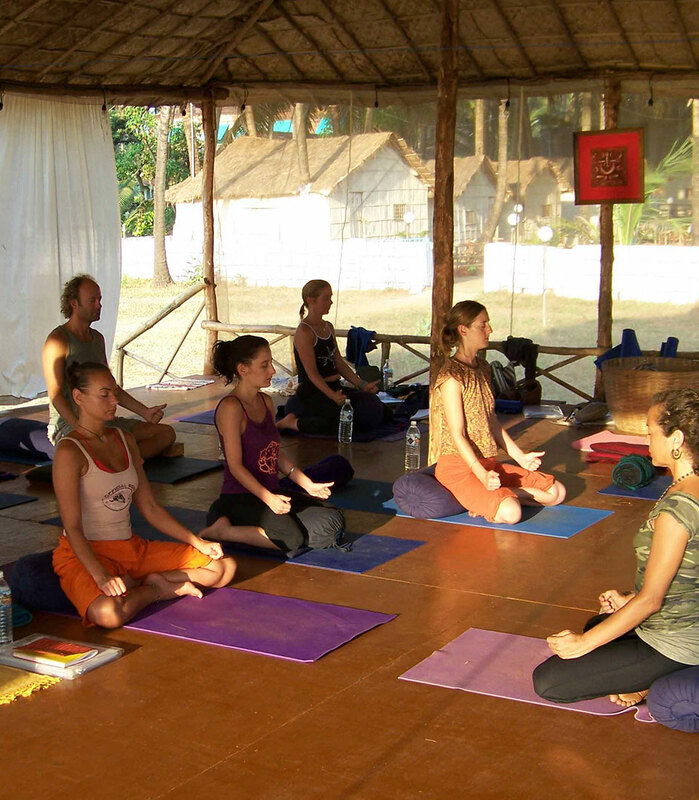 On all Tribe events you will encounter integral philosophical teachings of yoga. 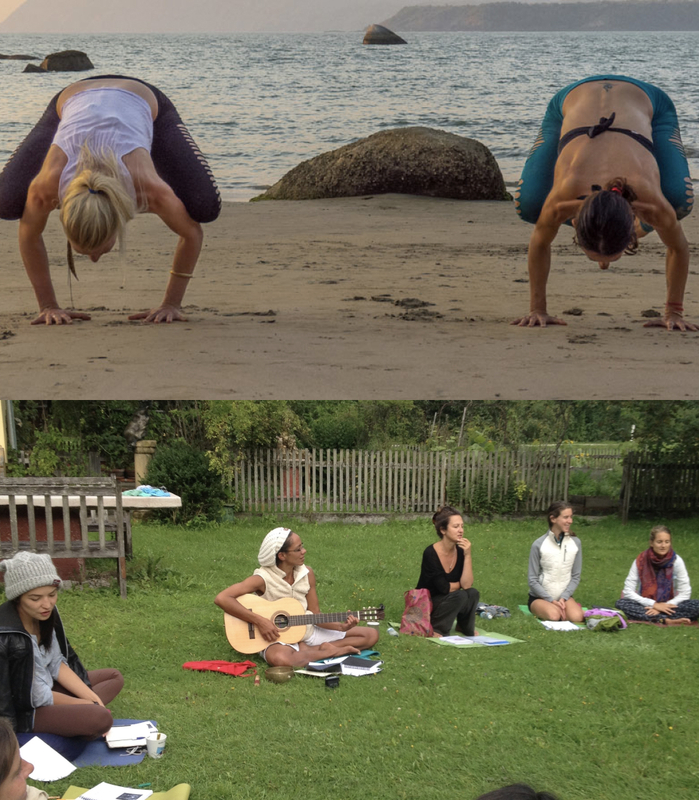 The Tribe teachers offer well versed beautiful, profound, heart opening, humorous and awakening lectures that transmit the great teachings of the saints and sages of the past from yogic and other spiritual traditions. On a spiritual level asanas give us an opportunity to fine-tune our awareness and sensitivity so we can become more intimate with the subtlest depths of our being. As we transcend the normal limitations of the body and mind we begin to experience ourselves at the level of energy and consciousness itself. The asanas allow us to tune into and harness the many beneficial energies of the universe that are always available to us ultimately elevating our vibration and consciousness to superior levels. At a more gross level asana is a fun and creative way to relax, open joints, lengthen muscles, generate therapeutic internal body heat, increase cardio-vascular strength, improve respiration and circulation, increase energy levels, release endorphins and give you a radiating glow of good health and happiness. As well as the many physical and healing benefits yoga has a profound and positive effect on the emotional and psychological body. The nervous system is soothed reducing stress and tension and the mind becomes calm and stable, focused and attentive. Here at Tribe we have absolutely no bias to any particular style of yoga asana. No matter how dynamic or gentle in style, we look to the quality of attention and awareness, the application of sensitivity, honesty, openness, generosity and focus to define a practice as yoga. 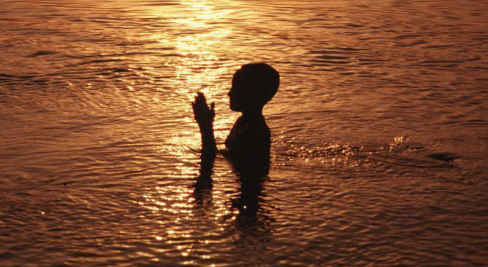 All Tribe students receive the confidence and understanding it takes to journey towards one’s inner wisdom and truth. Here you learn to tune into your individual needs, limitations and possibilities so your yoga practice becomes more and more unique, reflecting and expressing your individuality on a day-to-day basis. We wholeheartedly encourage students to flow in their own style and honour their natural rhythm by teaching the basic fundamentals of practice which, once understood, can be applied to all styles of asana. All the teachers of Tribe have been practicing and training in asana for many years and are able to teach more than one style of yoga. 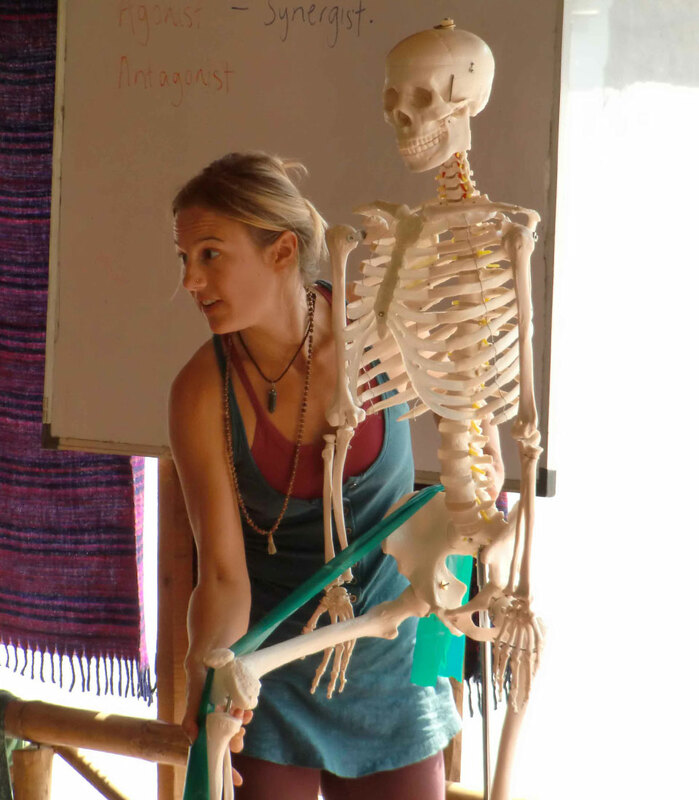 Most of the teachers have an Ashtanga Vinyasa background and have developed their own style and will introduce creative, fun, and explorative sequencing in the classes taught on Tribe events. Pranayama techniques offer different ways to direct the breath and balance the pranic flows (life force/energy) within us. 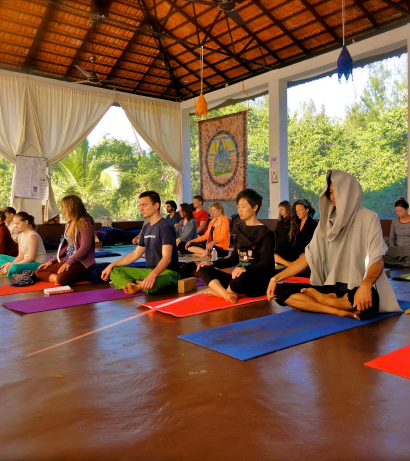 Ultimately the aim of the techniques are to release the breath from its usual restrictions thus allowing the practitioner to enter into a state of true Pranayama where the duality of the breath is transcended and prana begins to flows harmoniously. There are many simple to complex techniques which can be practiced within asana or as an independent practice to bring about positive and beneficial results. Calming the mind, soothing the nerves, releasing tension/anxieties and initiating into deep states of relaxation and meditation are all made possible through the practice of pranayamas. Pranayama techniques have the potential to bring harmony into all levels of our being eventually balancing the flow of prana flowing through the major energy channels inside us. When this happens the mysterious kundalini (primordial energy of our being) arises initiating profound spiritual experiences. 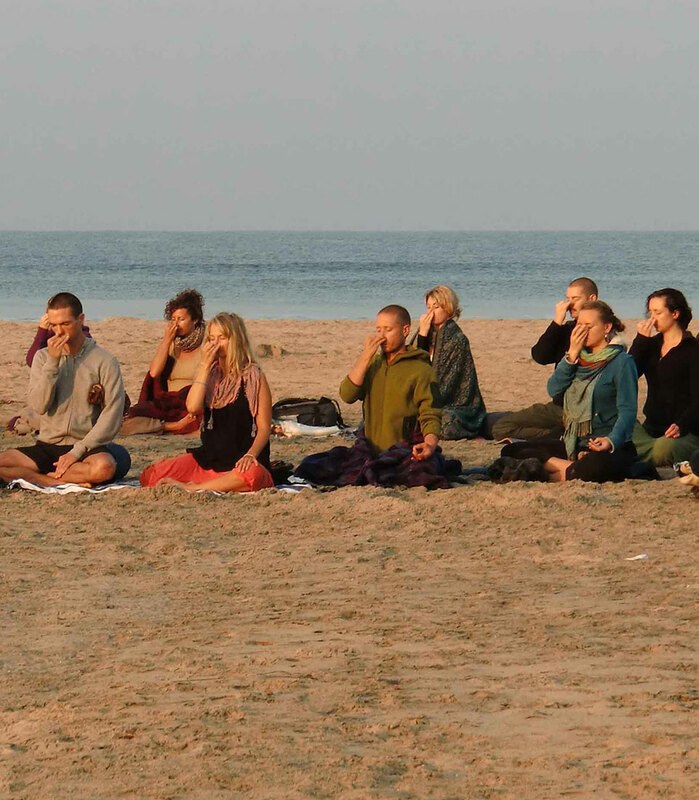 At Tribe we have teachers that are fully passionate about pranayama and sharing the practice with others. Our teachers introduce you to a wide range of techniques that can be used on and off the yoga mat adding a new dimension to your practice and your life. There are many meditation styles and techniques that help bring clarity, calmness and focus to the restless mind. Such techniques help us to settle the fluctuating mind and cultivate more clarity and focus. Once you are able to maintain a concentrated mind the doors to higher states of consciousness may begin to open initiating a natural unfolding of the mind whereby the more subtle stages of meditation reveal themselves. Through meditation, we tap into an ever-present inner wisdom and truth, our perspective changes until eventually, through the light of our expanding awareness, the sense of separate self dissolves away.